Students from across the U.S. and Canada are here for next two weeks to participate in a special course on herbarium techniques offered by the Royal Botanic Gardens, Kew, and Brooklyn Botanic Garden. Here they will learn how to properly curate and conserve a scientific collection of preserved plants like the collection of over 320,000 specimens in the Garden’s herbarium. While here, the students will be working hard, learning in two weeks what would normally be presented over six weeks. They will take their new expertise back with them, but we also hope that they will bring home new friendships and fond memories of the generous heart of Brooklyn. 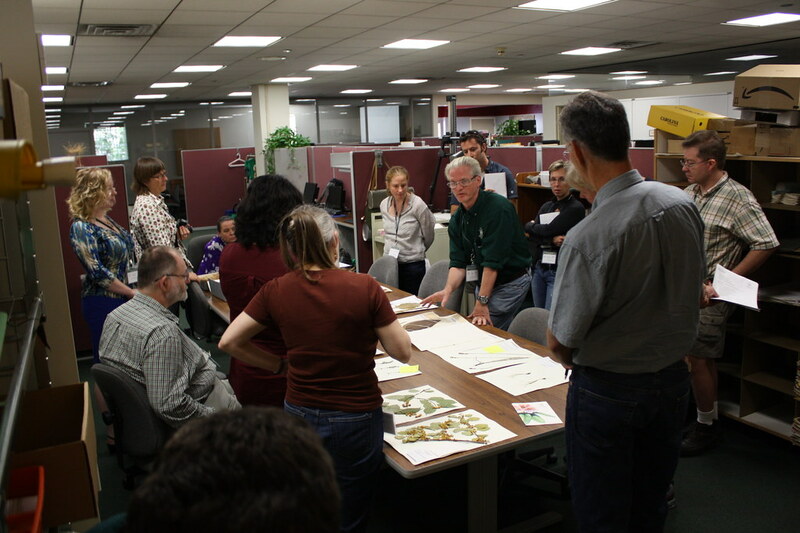 This was one of the best practical courses for handling, curating, and conserving herbarium specimens. Students have come to BBG to learn how to properly curate and conserve a scientific collection of preserved plants. Photo by Kerry Barringer.